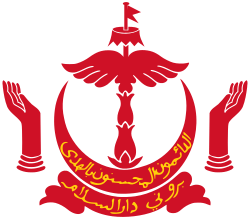 The Brunei Currency and Monetary Board (BCMB) was the central bank of Brunei Darussalam. It was rechartered on February 1, 2004, pursuant to the Currency and Monetary Order of 2004. The Brunei Currency Board was established on June 12, 1967, and the introduction of the Brunei Dollar as the new currency of Brunei in replacing the Malaya and British Borneo dollar after the Currency Union Agreement between Malaysia, Singapore and Brunei was terminated and all three countries issued their own currencies which continued to be interchangeable until May 8, 1973, when Malaysia terminated the agreement with Singapore and Brunei. The Currency Interchangeability Agreement between Singapore and Brunei is still existent. On 27 June 2007, Singapore and Brunei celebrated the 40th anniversary of the Currency Interchangeability Agreement (since 12 June 1967) with the joint-issue of the commemorative $20 notes. The Brunei Currency Board was dissolved and rechartered under the new name the Brunei Currency and Monetary Board pursuant to Section 3-1 of the Currency and Monetary Order of 2004 on February 1, 2004. It was then succeeded by the Autoriti Monetari Brunei Darussalam (Monetary Authority of Brunei Darussalam) in 2011. ↑ "The Currency History of Singapore". Monetary Authority of Singapore. 2007-04-09. Archived from the original on 2010-02-02. Retrieved 2007-12-28. Official Currencies of The Straits Settlements (1826-1939); Currencies of the Board of Commissioners of Currency, Malaya (1939-1951); Currencies of the Board of Commissioners of Currency, Malaya and British Borneo (1952-1957); Currencies of the Independent Malaya (1957 -1963); On 12 June 1967, the currency union which had been operating for 29 years came to an end, and the three participating countries, Malaysia, Singapore and Brunei, each issued its own currency. The currencies of the three countries were interchangeable at par value under the Interchangeability Agreement until 8 May 1973 when the Malaysian government decided to terminate it. Brunei and Singapore however continue with the Agreement until the present day. ↑ Monetary Authority of Singapore (2007-06-27). "Commemorating the 40th Anniversary the Currency Interchangeability Agreement". Retrieved 2007-07-30. ↑ "Overview of the Brunei Currency and monetary board". Ministry of Finance. 2005. Archived from the original on 2008-04-01. Retrieved 2008-04-24.